Most folks enjoy receiving a bouquet of flowers as a gift from a loved one at Valentine’s Day. 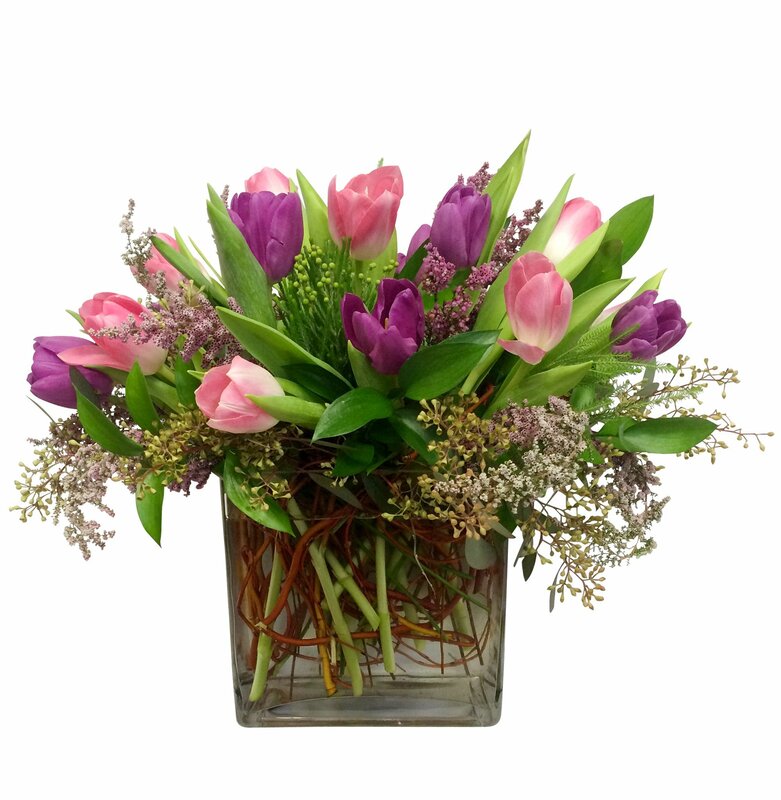 Roses are usually the most common bouquet, but tulips are popular, too. And there are all other sorts of flowers that can be used. You can make the bouquet you give a more thoughtful gift if you gather plant materials from your own garden to create a bouquet. It can simply be made up of evergreens, interesting deciduous twigs, and ornamentals grasses. You may not have anything blooming, so you could purchase 1-2 roses or other flowers from a florist to add to the bouquet. This bouquet may be more meaningful to the person you give it to and you will probably save some money. Another thought for gardeners would be to give them something garden related such as summer flowering bulbs that will bring them enjoyment later in the year. Or perhaps a single flower accompanied by a gift certificate to their favorite garden center or mail-order catalog. Do you have a gardener who likes to read or see movies, then consider horticulture themed books and movies? And of course, gardeners can always use a good pair of gloves. Join the Extension Master Gardener℠ volunteers of Union County on February 7, 2019, at 7 p.m., at the Union County Agriculture Center for the Successful Gardener educational program. I will be discussing growing blueberries in the home garden & how to prune them. The program is free and open to the public.